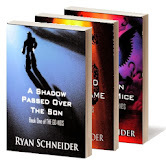 This is a very special Author Spotlight, for it features the return of thriller writer R.S. Guthrie, author of MONEY LAND (see above). Since Rob was last featured on this blog in January 2012, he has been burning up the Amazon charts with record books sales. 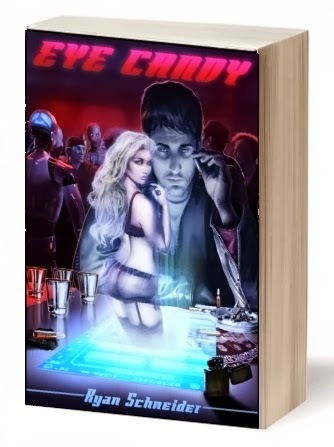 His new thriller series promises to be in the Kindle Top Ten very soon. Guthrie's "Blood Land" is the first in the Sheriff James Pruett Mystery/Thriller series and represents a project that is close to his heart: it is set in a fictional town in the same county where he spent much of his childhood and still visits. Guthrie lives in Colorado with his wife, Amy, three young Australian Shepherds, and a Chihuahua who thinks she is a 40-pound Aussie! 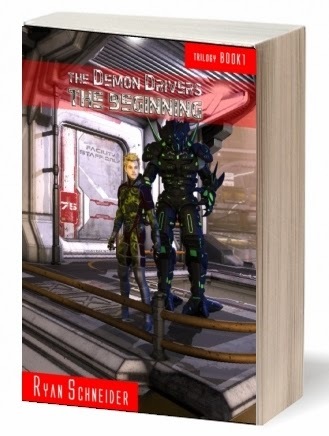 Readers can catch up with what's new with the author at his official site, http://www.rsguthrie.com , or discussions related to writing at his blog, Rob on Writing (http://robonwriting.com). 1. This is a follow-up interview, but for people who are not already familiar with your work, tell us what kind of books you write and what readers should expect from your stories, and what is your latest novel Blood Land about? Well thanks for having me a second time, Ryan (I think that’s a good sign)! Mainly I write what are classified as Mysteries or Thrillers. To be honest, I feel like genres mean different things to different people. I write books about characters that we can all relate to; I tend to do that in a setting around a cop solving a murder case (or multiple murders). But my books are about the people in them as much as the story. 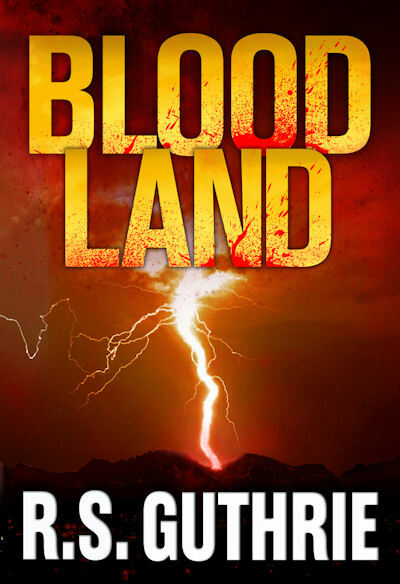 Blood Land, for example, is set in a smaller town, where the sheriff’s own wife has been murdered and the prime suspect is her own brother. Of course, nothing is ever as it first appears—I prefer to write about heroes with flaws in them. There are no perfect people and I love relating to characters when I read, so that’s how I write. 2. What was the duration of the writing process for Blood Land? Every book is different and Blood Land was a novel I started and then put on the back burner for a while, not because I didn’t like it—just the opposite; it was because I wanted to really take my time. One technique I like to use is to walk away from a book for a while and then come back and read it as a true reader would. I did this several times with Blood Land and I think it made all the difference. Overall it was about a year. 3. When Blood Land is adapted to film, and the producers ask for your dream cast, what will you say? That’s a difficult question to answer without giving away a spoiler. How about my dream director? There has never been any doubt in my mind that Clint Eastwood could bring this story to life on the big screen. 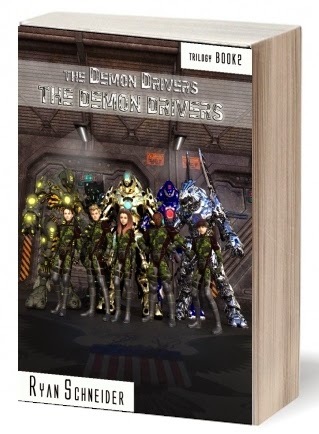 I have had more than a few readers say they can see this as a film. I just wish Clint was one of them! 4. Stephen King often makes a cameo in films adapted from his work. Stan Lee is also enjoying doing so these days. What supporting role would you like to play in the film adaptation of Blood Land? I love it when directors or writers show up in cameo roles. Oliver Stone and Sydney Pollack do, too. I remember Stephen King in Maximum Overdrive trying to take money out of an ATM and being told to eff-off. There is a small role in my story for a guy named Roland Pape. He’s the owner of the bar where the murder suspect is cornered and his only role is to hide in the shadows and then come out when the action is over. No lines. I think I could handle that. Honestly it’s been a while since I’ve read a book that I would recommend to everyone I know because I tend to read within my genre and I think a book has to be really outstanding to cross boundaries and be great for everyone. I read a LOT of James Lee Burke, and all of his newer books are read by actor Will Patton in their audio format. Burke is an absolute genius and a poet and when Patton reads them, WOW, I am telling you, that’s a recommendation I would make to everyone. The combination of the two is something truly magical. 6. As of this writing, the trend in publishing is toward series novels as opposed to stand-alone books. Is Blood Land part of a series? If so, where do you see the story going (ie how many books in the series)? If not, do you have a series you’ve written or plan to write, and if so, what is it? And if not, good for you. The squeaky wheel gets the grease! Well, as with Amazon, I was into “the series” long before they were the trend in publishing (I shopped at Amazon when they first started selling things other than books, and people laughed at me and said you bought what at Amazon??). So though I am not the squeaky wheel in this case, I am also not a bandwagoner. I always knew I wanted to write series. My favorite authors (John D. MacDonald, James Lee Burke, Dennis Lehane,) all have series that repeat the same heroic character(s), and that’s what drew me to the series. Blood Land features twenty-first century sheriff James Pruett and I believe I’ve written him as a person who readers are going to miss when the book ends (I’ve already had many people ask me if and when he’s returning—next month, in fact!!). The great thing about a series is you know you get to see some of your favorite characters again—you mentioned Stan Lee. That was always the draw of comic books (another genre on which I feasted in my youth, Lee’s Spiderman being my all-time favorite). But it was also Peter Parker, Mary Jane, Uncle Ben, and even J. Jonah Jameson. I came back not only for the next superhero/villain conflict but for all the characters as well. Saul has it right. I have almost a hundred percent of my ideas in a semi-state of sleep, in the hinterland just before the subconscious kicks in. Many great writers (Shakespeare, Hemingway, Tennyson, Conrad) all believed we live most in our dreams and from there comes our inspiration as writers. I wake up in the middle of the night and write things down (thank God for the iPhone—now I can do it without having to leave the warm comfort of bed)! 8. Brett Easton Ellis once said, “Do not write a novel for praise. Write for yourself; work out between you and your pen the things that intrigue you.” Indie publishing phenom Amanda Hocking has said that it messed with her head a bit when she realized so many people were going to read the books she’s now writing. Now that R.S. 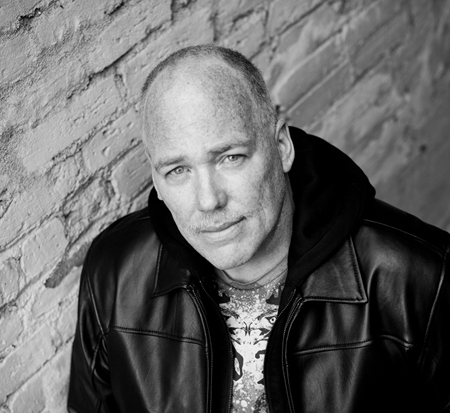 Guthrie is rapidly gaining recognition in the publishing world, has an established fan base anticipating his next novel, and is being talked about in the highly-reverent third person, will reader expectation influence how and/or what he writes? Or will he hold to Ellis’ suggestion? A little of both. Grand notions are difficult to put into practice sometimes. Like thick skin—we all know we should have it, and not become too despondent over one person’s criticism, but somehow it still stings. I’m going to take the meeting, but my first question is going to be “what can you do for me and still give me a 70% royalty?” In all seriousness, it’s a tough deal. Would I love to be in Penguin or Simon & Schuster’s stable of writers? Sure. But most of that is pure vanity. I want to sell books, and unless I am already proven completely, a big publisher isn’t going to invest anything in me (but I’ll still be paying out the nose for an agent, publisher, etc.). I would love to write at least one book for a known publisher, just to say “see, not all Indies are crap—there are many of us who can write.” And then go back to publishing independently. My writing dream has always been to support myself (and family, of course) with it. In other words, write for a living. I wouldn’t mind fame and fortune along the way, but that’s not in the five year plan. What I want to see within five years is my book (or books) on the bestseller list. NYT, Amazon—I really don’t care. But not in /Family/Relationships/Auto Parts, you know? THE bestseller list. Top 20-30 would be fine. I honestly owe a HUGE debt of gratitude to writer Russell Blake (JET series, Silver Justice, to name just a few). He’s mentored me quite a bit in the “ways of the world” and he’s even introduced me to my cover designer (Ares Jun) and my new editor with whom I’m working on Money Land, the Blood Land sequel out next month. I also owe huge props to my wife. She has read every word I’ve written more than anyone else (excluding myself). Honestly, she reads each book (when it’s said and done) at least 4-5 times start to finish (and I don’t know how many times in pieces). She also travelled with me recently to my first book show and if not for her I would have let my idol, James Lee Burke walk by with a simple “Hello”. She called him back to the table where he talked with me for 10-15 minutes AND accepted an autographed copy of Blood Land. Wow, that's great, Rob. You know what they say, "Behind every great man is a great woman rolling her eyes." 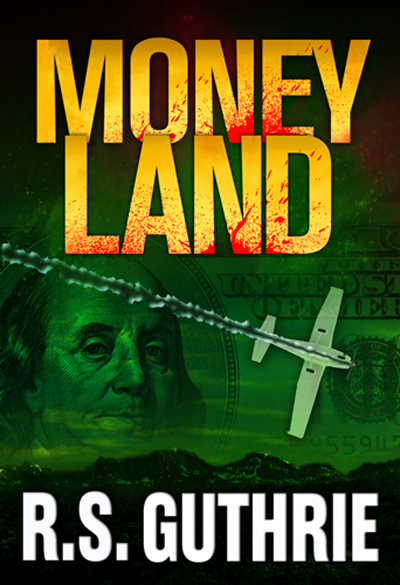 Thank you for sharing your new book MONEY LAND with us and keep up the good work. The third installment will surely be a big hit as well. Learn more about Rob at his official site, http://www.rsguthrie.com , or discussions related to writing at his blog, Rob on Writing (http://robonwriting.com).